This recipe was delicious! Creamy, flavorful, and extremely easy. Blend butter, garlic and salad dressing together in a small bowl. Place bread on a baking sheet, cut-side up. Spread butter mixture over both halves. 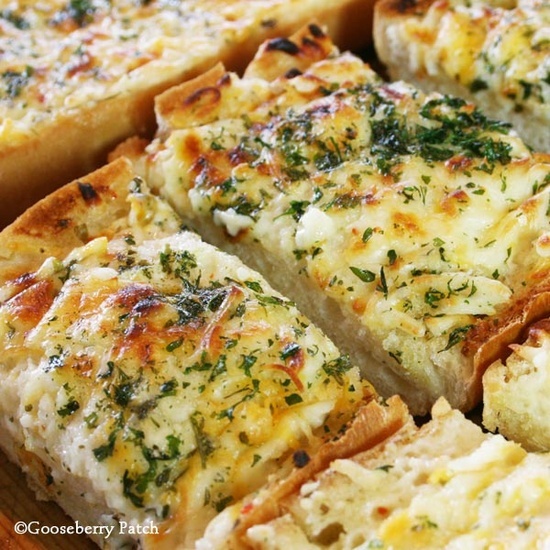 Top with shredded cheese and parsley. Bake, uncovered, at 375 degrees for 10 to 20 minutes, until cheese is melted and bubbly. Slice each half into 8 pieces; serve warm. Makes 16 servings.